Virulence is a strategic bidding and engine-building card game that’s addictively quick and simple. 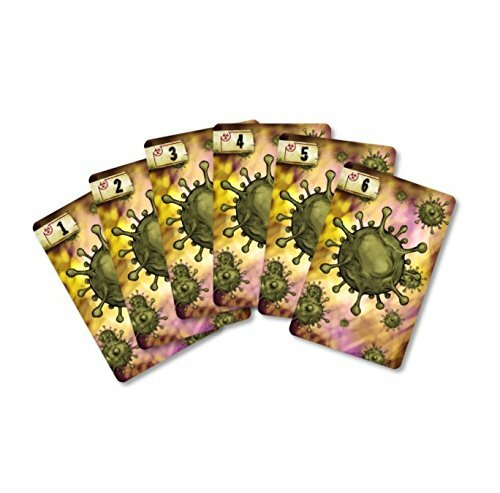 Players compete as viruses trying to collect viral component cards and take over the host cell! Each player starts with the same set of six bidding cards, and each of the six has a different strengths. Every round, Viral Component Cards worth varying numbers of points are flipped face up in center of the table. Players then use their bidding cards to simultaneously place secret bids to determine the order they will select from those Viral Component Cards. Highest bidder selects first, followed by the next highest bidder, and so on down to the lowest bidder. Players try to get their highest pick for the lowest bid – but bid too low and you might get stuck with whatever’s left! While most of the Viral Component Cards score points, some of them add to the strength of a player’s hand, improving their bidding power for future rounds! 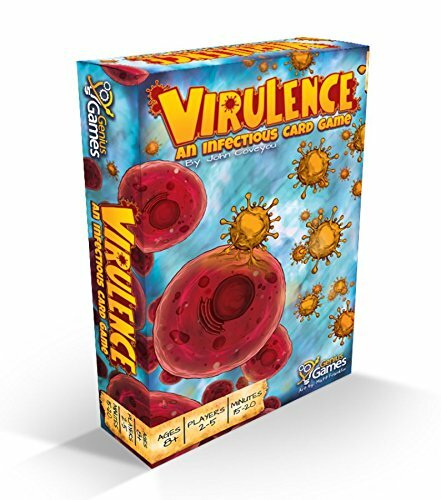 Virulence is great for your gaming group, game night with family and friends, or introducing the study of viruses in the science classroom! Virulence encourages risk-reward analysis, critical thinking and strategic timing. All the viral components covered in Virulence are components that would be introduced in a basic high school level lesson on viruses. And it does so in a way that is fun and intuitive for everyone! 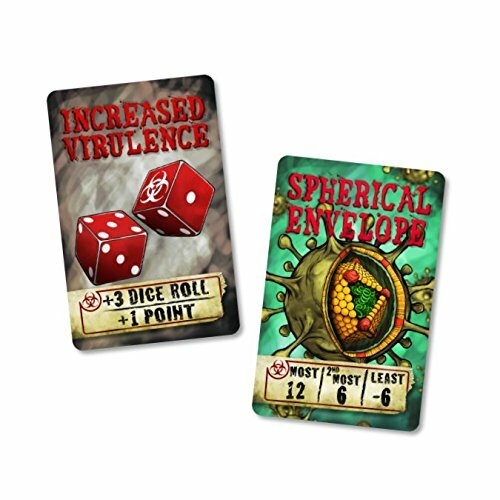 Virulence was created by a professor of game design who is also a chemical engineer and science teacher! Genius Games is a STEM-centered publishing company that creates high-quality tabletop games and children’s books. We demystify intimidating concepts in the sciences through the thrill of play. We engage players in a lifelong process of inquiry by rewarding curiosity with fun. 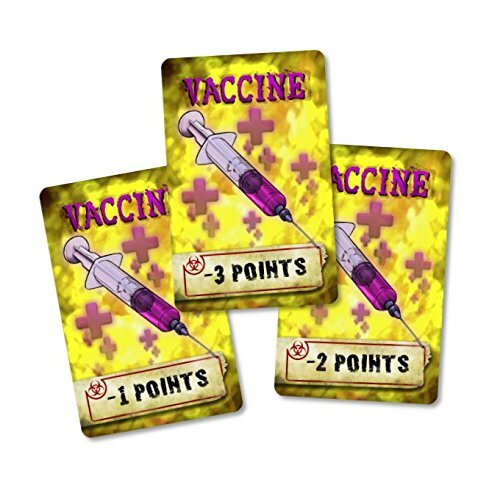 Structure and components of viruses, genome, helical, icosahedral, spherical envelope, virus replication, vaccines, mutationsBIOLOGY CARD GAME – Learn about viruses from a science game! Play as a virus to take over the host cell and collect helicals, icosahedrals, genomes, spherical envelopes just like in biology class. 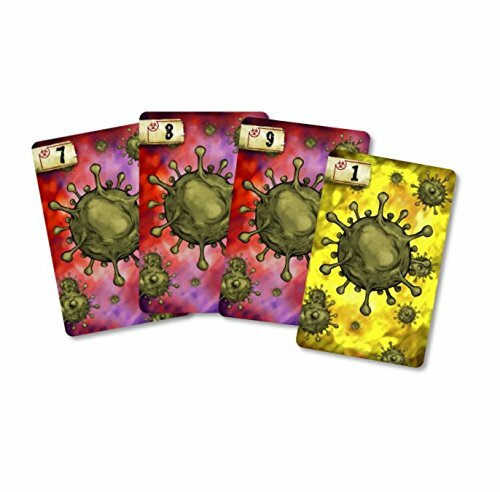 STRATEGIC PLAY – A blind bidding card game about viruses with a level of strategy to engage an adult gamer, yet intuitive enough for kids 8 and up to play at home or in the classroom. 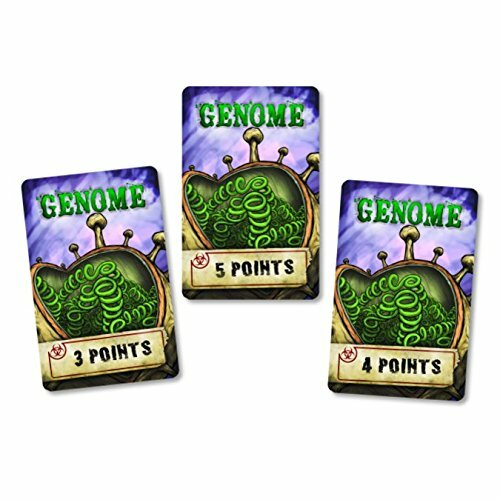 EASY TO LEARN, FAST PACE, QUICK TO PLAY – Virulence is a great game for gamers, science class or family game night. And All viral components and science vocabulary are accurate. 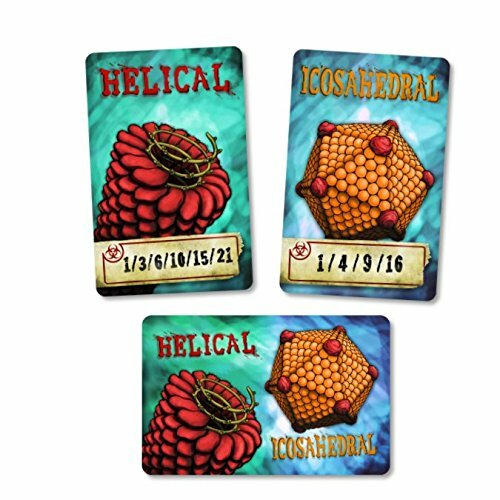 WHO CAN PLAY – Perfect for the gamer, science class or family game night. Teachers, scientists, biologists, and students love playing this geeky science game; and it makes a great birthday surprise! LEARN ABOUT VIRUSES – Designed to show virus structure and viral components like helical, icosahedral, and genomes at middle school or high school levels. Complies with STEM and NGSS standards. Casino Party Confetti, 1.2 oz.